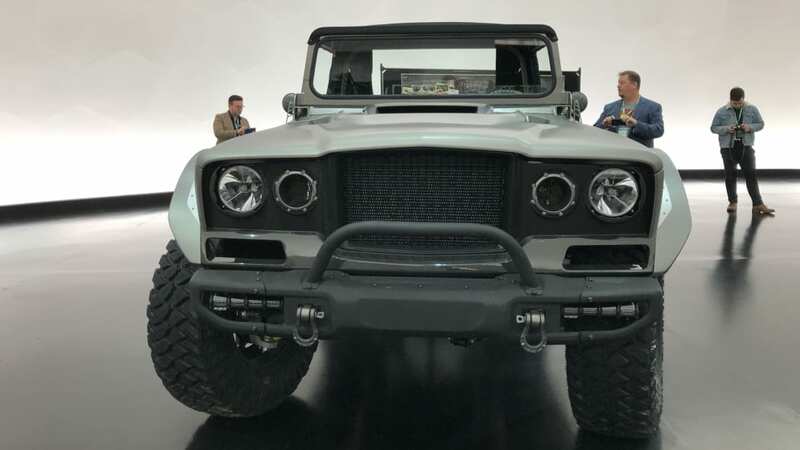 Of all the wild creations Jeep and Mopar built this year, one called the Jeep Five-Quarter is the best of the bunch. This truck started out life as a 1968 M-715, which was a military version of the civilian Gladiator truck. Jeep bought this one off Craigslist (they don't know if it ever saw combat) and went hogwild from there. We'll start with the powertrain, because Jeep dropped in a modified Hellcrate engine. That means this old, off-road Jeep has a 6.2-liter supercharged V8 that makes over 700 horsepower. Jeep is using a vintage 8-71 supercharger and mating the engine to a 3-speed automatic transmission.